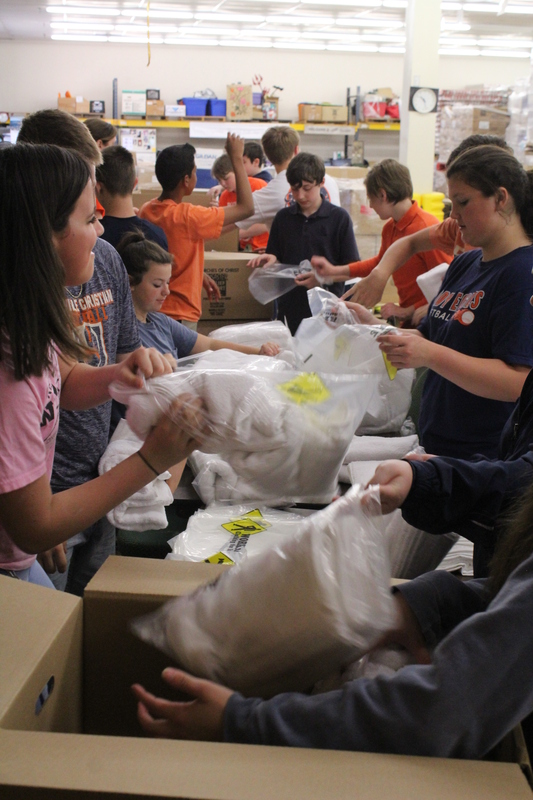 On Thursday, May 3, Nashville Christian held its annual Kathy Overbay Service Day. On Service Day, all students and staff, over 500 strong, go out to do various projects to help serve the community. Each different group was transported their activity by one of four buses. Because of this, Service Day is somewhat of a logistical nightmare, but somehow everyone was able to get to and from their destination without getting lost. One of the many different places helped was Owl’s Hill Nature Center, a 160 wild acre wildlife sanctuary in Brentwood. With the entire junior class at their disposal, Owl’s Hill was recieved a lot of major help. There were also other services which NCS helped to provide around the community. This included some students helping out at Cheekwood, a botanical garden on the Western side of Nashville. Not all students helped out at gardens, however. Many went to different relief centers or ministries, such as St. Luke’s, a non-profit community center with the goal of helping families around the community. Most students began their service at around 8-9, and returned to school in time for lunch. Individually each student worked about 3 hours. If you add this up, however, NCS provided over 1500 man hours to help better the community. After students returned and ate lunch, they were treated to Beach Day, an outdoor mini-festival with inflatable slides, slip-n-slides, soap hockey games, and a dunking booth.